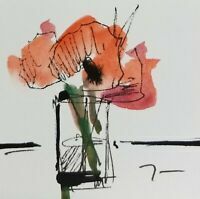 Betsy ROGERS-KNOX Watercolor Painting Poppies & Butterfly Botanical 22 x 15 in. 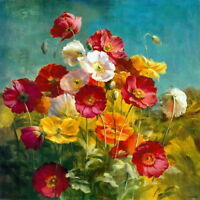 Details about Betsy ROGERS-KNOX Watercolor Painting Poppies & Butterfly Botanical 22 x 15 in. 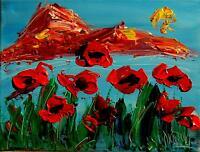 MODERN ABSTRACT RED POPPIES LARGE ORIGINAL PAINTING - by KAZAV 64"